The problem of this experiment is that pennies stacked together is heavy. If we put two stirrer sticks on the opposite sides under the boat, then it will hold a lot of pennies because it can balance it out. Our boat held 93 pennies. 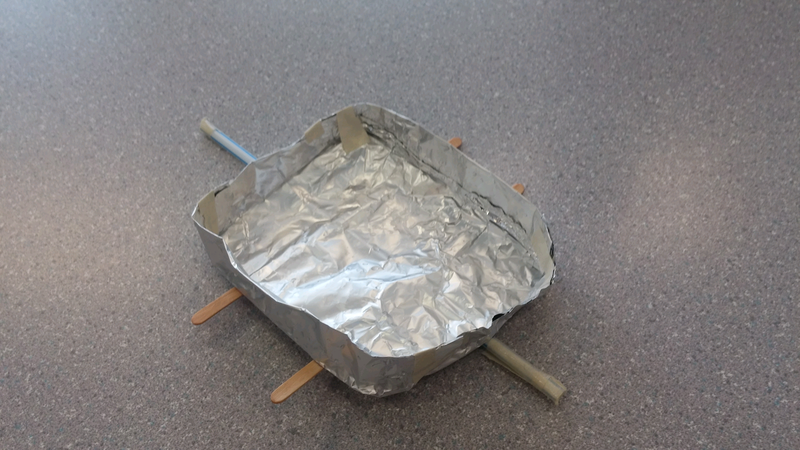 The boat will last longer and can hold many pennies as long as we could balance everything. I would change the width of the boat wider.